Contest #552: the site of the Chicago Spire, Chicago, Illinois, US – Where On Google Earth? 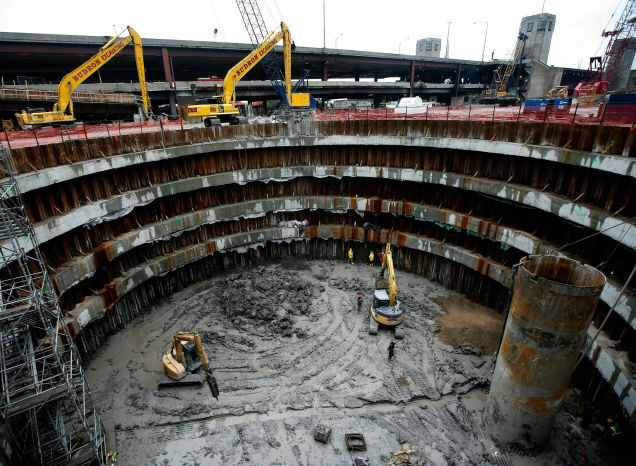 The round hole in this week’s contest image is the site of the not-built Chicago Spire, which was intended to be one of the tallest residential buildings in the world. However, due to financial issues, it was shelved and all that is left is s hole. The hint referred to the rotation of 2.4 degrees of each of the 150 floors, giving a total rotation of 360 degrees from bottom to top. In recent days, plans have been announced for the construction of two tall towers in this location.